Along with a great reputation for our top-rated schools, our diverse culture, and our beautiful landscape, Connecticut has a strong economy. The creativity of the state’s business and industrial community has made a significant contribution to Connecticut’s quality of life, which, for more than half a century, has been deemed one of the best in the nation. Twice recognized by Money Magazine as one of the “Best Places to Live, ” the Mid-Fairfield County area (greater Norwalk) is ideally located to take advantage of good housing, good jobs and good living. Life in this area brims with cultural and leisure activities, along with quality health and human services and a wide variety of educational opportunities. In Mid-Fairfield County, everything one needs for total lifestyle satisfaction is literally just minutes away. The school systems of Mid-Fairfield County are as diverse as the needs of its residents. The schools are recognized for their high quality curricula, teaching professionals, staff and facilities. Public, private and parochial schools offer students exemplary educational, athletic and enrichment opportunities from pre-kindergarten through graduate school. Cultural and leisure activities abound in Mid-Fairfield County. Whatever your preference — history, music, theater, fine art, crafts or the literary adventures offered by the area’s many libraries — you can find it here. There are countless outdoor and indoor leisure activities to appeal to every resident and visitor, regarless of age or interests. A drive through Mid-Fairfield County is a treat for admirers of every home and garden style. Waterfront condominiums and charming, country cottages reside minutes from grand mansions. Property values in this area have been booming for years, and show no indication of slowing down. Initailly lured by the proximity to New York city’s commerce and attractions and by a major expansion of a business presence in several Fairfield County cities and towns, newcomers now seek out Mid-Fairfield for its own unique blend of sophistication, controlled growth and small-town, country charm. Mid-Fairfield County and the surrounding cities and towns offer residents and visitors an array of attractions and activities so extensive that one could spend an entire year visiting or experiencing a different one each day. We offer a variety of parks, museums, theaters, historic sites, beaches, gardens, activities and events. Please visit each town’s page for listings. 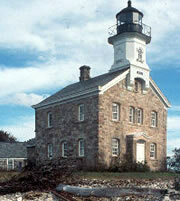 Founded in 1649, Norwalk survived burning by the British in 1779. By the 19th century, Norwalk was an active seaport, with shipping trade and regular steamboat passenger service to New York. It also had a bustling clam and oyster industry. The arrival of the railroad spurred Norwalk’s industrial and commercial growth as well as its emergence as a thriving summer resort. Currently Norwalk has a population ofover 80,000. Residents represent an ethnic, cultural and religious diversity that gives the city a cosmopolitan atmosphere. In the last decade Norwalk has played an increasingly significant role in the area’s flourishing tourism industry. The Norwalk Public Schools System is proud of the progress and advances students and educators have made in recent years. Foreign languages are a priority in the Norwalk Schools, where more languages are offered than any other district in Connecticut. Through its numerous, innovative educational enhancement programs, along with its traditional curricula, the Norwalk Schools are creating an exceptional educational experience for city students. Cultural attractions, museums, shops and restaurants are located throughout the city. 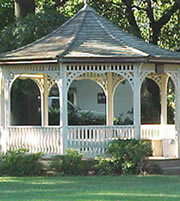 The ambiance of historic South Norwalk (SoNo) and its waterfront area, the beaches and golf courses of East Norwalk, wooded parks and trails in West Norwalk and Silvermine (which overlaps into neighboring New Canaan) and the quaint, seaside village charm of Rowayton all contribute to Norwalk’s growing popularity as a place to live, work and visit. Originally settled as part of Fairfield, Weston started out as a farming community. It was incorporated as a separate town in 1787 and grew as an industrial center where toys, furniture and other products were manufactured. It was a bustling town where canneries, iron foundries and many other industries flourished. 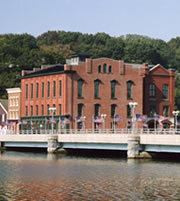 Following the Civil War, the town’s industries began a gradual decline, and its character once again became more rural. Today, Weston’s population of about 8,600 lives within its 20.8 square miles of bucolic woods, hills and fields. The Weston Public Schools of Weston Connecticut are situated on a 117-acre wooded campus adjacent to Town Municipal offices and include the Hurlbutt Elementary School, Weston Intermediate School, Weston Middle School and Weston High School. They are considered by many to rank among the finest in the nation. The town’s Board of Education, school administrators and staff work diligently to achieve an unparalleled level of educational excellence. With its many old, traditional New England homes, the town offers a country setting where a small shopping center provides the necessities and the Historical Society, Nature Conservancy, Recreation Commission and private clubs provide cultural and recreational activities. Additional shopping, dining and leisure resources are just a short drive away. Formed from sections of colonial Norwalk, Weston and Fairfield, Westport initially was a farming community where onions were a major crop. The town’s early farmers used the Saugatuck River to transport their crops to market. 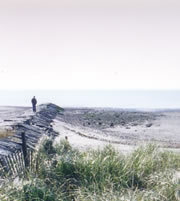 During the Revolutionary War, the British launched an attack on the Colonists after landing at what is now Westport’s popular Compo Beach. Westport Public Schools have been recognized by the state for their excellence. In its overall index, a rating system for Connecticut’s public schools, Westport’s schools, for the past two years, have ranked third highest in the state. With more than 25,000 inhabitants, Westport’s creative arts community influences the town’s sophisticated, cosmopolitan atmosphere. Along with its appealing combination of seashore and country charm, Westport offers diverse cultural and recreational pursuits, including theaters, a nature center, a recently expanded library, museums, public and private clubs and an array of outdoor and water activities. Wilton is the home of the oldest meeting house in Fairfield County, a Congregational church built in 1790. From its early agricultural beginnings, the town, which covers nearly 27 square miles, retains its original, rural character in its hilly woodlands, scenic roadways and historic stone walls. More than 16,000 residents enjoy the advantages of quiet, residential areas, which are highlighted by many 200-year-old homes, along with proximity to Wilton’s burgeoning business and retail districts, located primarily along Danbury Road (Route 7). Wilton offers an exceptional public education program. The town’s 3,115 public school students attend three elementary schools, a middle school, and a high school. The middle school, which covers grades six through eight, features interdisciplinary instruction teams in languages and science, mathematics, social studies, computers and art and also provides gifted student instruction. Opportunities for leisure activities and historic enrichment abound in Wilton. 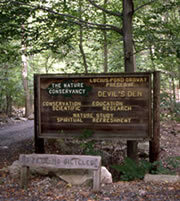 The town has numerous parks, hosts many regional athletic programs, and offers a diversity of historic sites and museums. Among the latter, two of the best known are Lambert Corners and Cannon Crossing.